Why Would You Need a Stronger Toilet Flush? 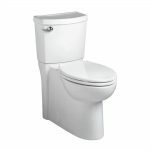 How to Make Flush Toilet Stronger? The best thing about toilet is that everything is automated. However, even if a single thing gets messed up in the toilet system, something can go wrong. 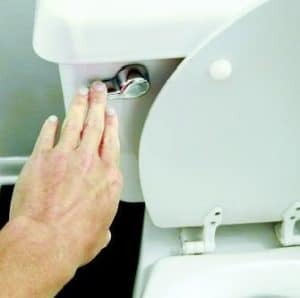 How to make toilet flush stronger is something everyone should know. It will become useful at least once in your life. Toilet doesn’t need to break to present a problem. But even the smallest thing can annoy us or prevent us from using our toilet the way we used to. If you aren’t maintaining your toilet properly on a regular basis, many different problems can occur. Slow flushing toilet is never been fun. Although, it’s one of the most common problems that can occur for anyone. 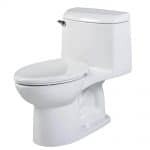 By improving your toilet flush strength, you will be able to dispose of the waste more efficiently. But what does it take to actually improve your toilet? You will learn everything necessary in this post right here. The answer to this question is pretty simple. However, there is a number of reasons why would someone need a stronger toilet flush. Stronger toilet flush means that you will have better dispose of human waste. Such option is always useful for everyone who has larger toilet bowls. Nothing happens if you pour a small amount of water down the toilet bowl. However, a larger amount of water will definitely flush your toilet. Toilet bowl has disposal system. It won’t activate and dispose of human waste if a large amount of water isn’t flushed. A larger amount of water also means that there is going to be much better pressure on the toilet bowl. A larger amount of water and higher pressure will make your toilet have a stronger flush. If your toilet isn’t disposing human waste efficiently, you should be worried. It’s most likely that you will need a stronger toilet flush in order to fix that problem. There are definitely benefits to having a stronger toilet flush. But it’s also important to understand that there are also cons of a stronger toilet flush as well. 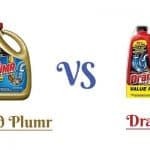 Improving the strength of your toilet flush will definitely benefit you. It will dispose of your human waste in a more efficient and faster period of time. With stronger toilet flush, you will also get a better pressure in the toilet bowl. Higher pressure is a good thing. If your toilet bowl gets clogged lightly, high pressure will unclog it itself. Almost everyone can achieve a better and stronger toilet flush. However, that’s not necessary for most people. It’s important to understand the reasons why would you need a stronger toilet flush. While stronger toilet flush comes with benefits, there are also some downsides as well. More water can clog your toilet even more. Also, stronger toilet flush depends on more water. That means that you will be spending more water to achieve the stronger toilet flush. However, that’s not the case most times. Sometimes, a regular toilet cleaning can improve the flushing results. Improving your toilet flush is fairly an easy task. However, it’s important to know exactly what to do. If you don’t know much about toilets, parts, and how it works – you shouldn’t worry. Everyone can improve their toilet flush strength. You don’t need to be an expert nor call your local plumber every time. The first thing I would recommend is to clean your toilet. Sometimes cleaning your toilet properly can unclog valves from water tank to the toilet bowl. Especially if you didn’t spend a lot of time cleaning and maintaining your toilet. Toilets should be cleaned at least once a week. However, I would recommend you to do it at least twice a week. 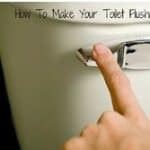 The next step which will most likely improve your toilet flush strength. It would be changing the water capacity. Every modern toilet water tank nowadays has the ability to have capacity changed by its user. To do so, you would have to lift the cover-up from the water tank and have a look inside. You will see two main parts and one level rod which connects them. Have a better look and you should notice that the rod at the end has different places where it’s attached. 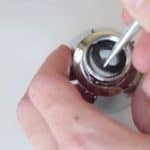 By attaching the level rod higher, you will allow more water in your water tank. By attaching it lower, you will have less water in your water tank than before. You will have to do some testing and come up with the best water level for your toilet bowl. More water you put in your water tank and through your toilet bowl – the stronger flush will be. However, stronger flush will increase your water bill. You will be using more water than before to achieve wanted effect. If you have struggled with your toilet disposing of your waste slowly, this will be very useful for you. There is absolutely no experience necessary. Fixing and changing a few things isn’t that hard, right? But, keep in mind that you should maintain your toilet regularly. If you don’t want to mess up your toilet, you should be careful when you do things inside the water tank. Switching the water level capacity by lifting or lowering the level rod is fine. But you shouldn’t change anything else. Custom changes inside water tank could make your toilet work incorrectly. There isn’t much to mess up, but it’s always better to be careful. Because changing any other setting inside the water tank can do more damage than good. How to make toilet flush stronger isn’t a secret, and it’s something that everyone can do. All it takes is to believe in yourself. No matter if you don’t have any experience with DIY. It takes a good guidance to make it possible. Benefits are definitely useful. Especially if you have been struggling with your toilet flushing speed lately. Also, make sure to check whether your toilet is maybe clogged. Maintain your toilet properly! How often do you maintain your toilet?